Welcome to the website for Catfish 2010! In June 2010, "Conservation, Ecology, and Management of Catfishes: The 2nd International Catfish Symposium" will be held in St. Louis, Missouri. 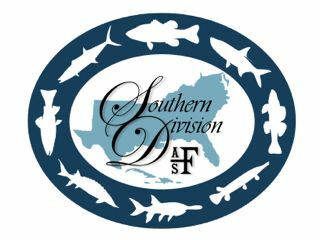 The symposium will be co-hosted by the Ictalurid Technical Committee of the North Central Division of the American Fisheries Society (AFS) and the Catfish Management Technical Committee of the Southern Division of the AFS. The meeting will provide a forum for the exchange of information about the biology, ecology, management, and conservation of worldwide catfish populations and their habitats. Presentation of research on both game and non-game species will be encouraged. To attract anglers and provide opportunities for input and interaction, the symposium will be held at the conclusion of a national catfish angling tournament. The tone of the meeting will be somewhat casual, combining the scientific aspects of a professional fisheries meeting with the relaxed atmosphere of a sports show. It is hoped that in this environment, anglers and scientists will be able to interact openly and progress the management of these important fishes. Symposium attendance is expected to exceed 300 people and the proceedings will be published in a hard-bound book that will be provided to all attendees. Similar to the first Proceedings, this compilation of works should serve as a valuable reference for many years to come.